When you’re a family man, it’s difficult to go on a gambling vacation and leave your children behind. 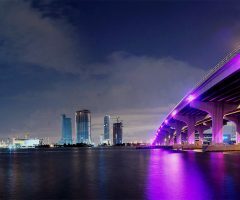 Check out five best casino resorts which offer family-friendly activities. When you’re younger, you only need to think about yourself. But as you’ve probably experienced, that changes when babies arrive. They become the focal point of all your future plannings, and that includes vacations. If you’re a gambling enthusiast who loves visiting various casinos around the world, you have millions of places to do so. 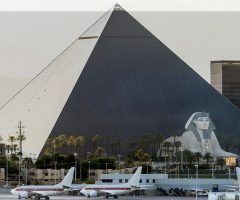 From Las Vegas and Atlantic City, the two most well-known gambling cities, to poker and slot clubs in the countryside, the options are limitless. But what happens when your family tags along? To bring your five-year-old to a casino where slot machines and poker chips just keep clanking about is a textbook example of bad parenting. It’s obvious why this isn’t an activity suitable for the young. Instead, you can go on a cruise ship, which allows you to slip out for a few spins, but cruises can become boring, and they don’t offer as many gambling possibilities. So is there a place where you can actually go with your family? Casino owners have realized that a lot of potential players decide against going to a casino due to having their whole family around. However, the casinos have chosen to make it easy for you, so some now offer a family-friendly resort which goes together with a gaming floor. Now, you can send your kids to a private pool or a beautiful beach while you go and play a few poker hands. 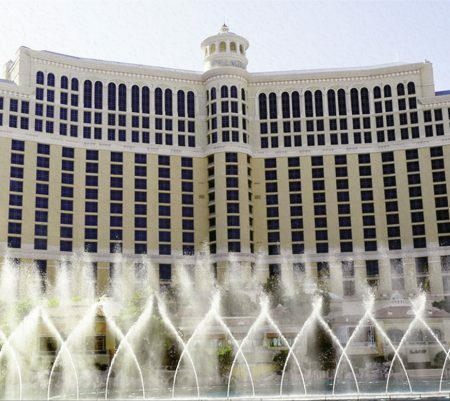 Here’s a list of top five casino resorts you can visit while on a family vacation. Going to Las Vegas with your kids sounds like a bad idea at first. But not if you’re going to Bellagio. 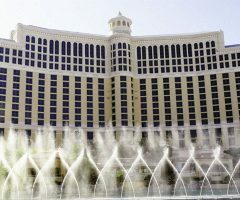 The 155,000 square feet of casino floor allows this resort to have around 2300 gaming machines and 136 table games, including Blackjack, Craps, Pai Gow Poker, and Baccarat. You can also play Keno, and there’s even a poker room with 40 tables. On top of that, there’s a race and a sportsbook too, where you can place bets and follow sporting events on one of the 150 TV screens they have. While you’re busy with all of this, you don’t have to worry about your kids doing something stupid out of boredom. 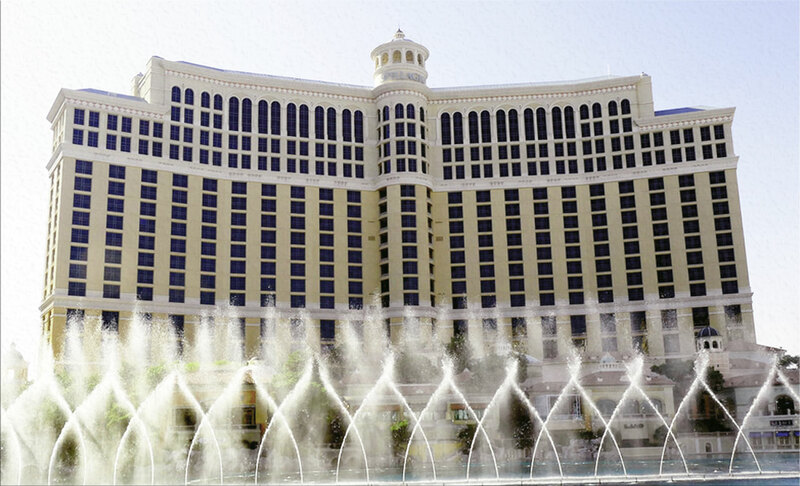 In the Bellagio resort, there are five swimming pools and a botanical garden, where they can enjoy themselves. And after you’ve done dining in one of the ten restaurants, you can treat them with sweets from the Bellagio Patisserie. Furthermore, there’s also a golf course for some father-son bonding (dad and lad time). After they’ve fallen asleep, you can visit one of the shows in the O Theater, or go to a nightclub, all within the casino complex. 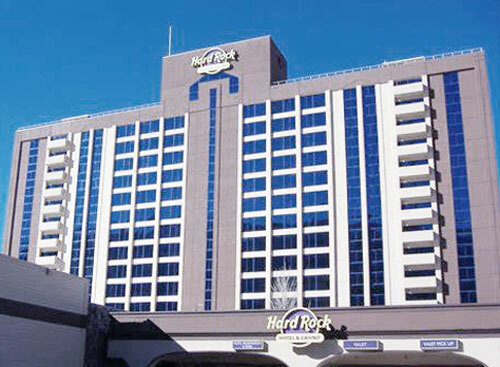 Located in Punta Cana, the Dominican Republic, Hard Rock Hotel & Casino is its largest casino. They have 450 slot machines, with additional 40 gaming tables and a poker room. Although Hard Rock suggests a different kind of lifestyle, this is actually an all-inclusive resort which offers plenty of amenities for kids of all ages. They have a kids’ club, where they organize live shows and other activities, such as dance lessons and face painting. They also have an arcade room and a water park with a huge children’s pool. There, they can enjoy water sports and a lazy river. And if your kids are a bit older (and are reaching that promised land called Moving Out), there’s a mini-golf course and a climbing wall they can entertain themselves with. 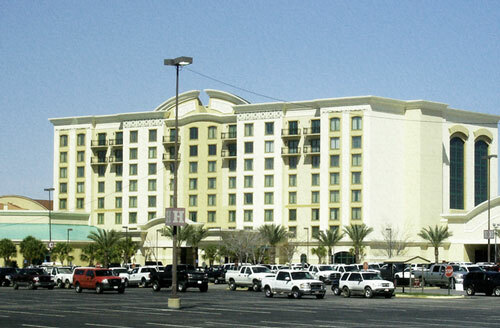 Paragon Casino & Resort is in Marksville, Louisiana. Now, if you’re thinking “hold on, there are no gorgeous beaches and hotel rooms with an ocean view there,” well, you’re right. But that doesn’t mean there’s not enough to enjoy there. 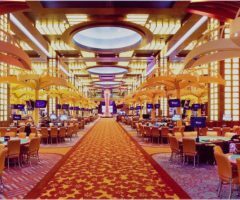 Their gaming floor contains 2200 slot machines and 40 table games, and there’s also a poker room with eight tables. Outside the casino, there are seven restaurants and cafés. In this resort, a spa and a fitness center allow you to sweat your memories of losing rounds away. You’ll even be able to play at a golf course which hosted US Open qualifiers. As for the kids, they can use their spare time while mommy and daddy are busy splitting blackjack hands to swim in one of the three swimming pools. They can also go and watch one of the latest movies at the casino’s cinema. And perhaps the most prevalent amenity this casino and resort offers is the Kids Quest and the Cyber Quest. They have an indoor playground with slides and tunnels for kids between 6 and 12. You can also enjoy an arcade room built for visitors of all age, so that you can spend some time with your children as well. Finally, there’s even an alligator atrium which organizes alligator-feeding shows. Let’s take a second to admire the amazing name of this casino found in Mescalero, New Mexico. Doesn’t it alone make you want to visit it? The casino in itself is plentiful with gaming machines, table games, and a poker room. 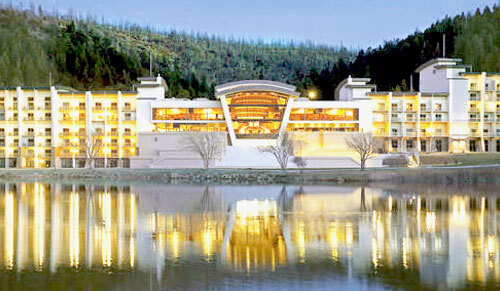 But the real attraction of this resort lies in the extracurricular activities it offers. There’s a golf course and an arcade room for your kids to enjoy a few games. On top of that, they also have a lakefront ziprider, as well as a boat dock. You can spend your time fishing or horseback riding. During summer, this casino even organizes a special kids program, where they can participate in supervised indoor and outdoor activities, including movies, games, crafts, and others. 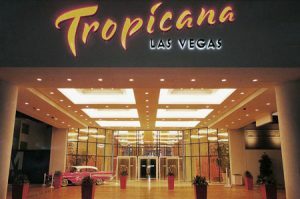 We won’t tell you where you can find Tropicana Casino & Resort Atlantic City. It’s something you’ll need to figure out on your own. Their 120,000-square-foot gaming floor promises you’ll never ever be bored again, with 2400 gaming machines and 170 tables. The poker room has 18 tables with both Limit and No-Limit Texas Hold ‘Em available. Additionally, the casino complex has a dozen restaurants and cafés. You can send your kids to Family Fun Station, an arcade room filled with all the popular games like air hockey, skeeball, and even a punching bag. Also, there’s a 280-seat IMAX cinema where they play the latest movie releases. Furthermore, they have two swimming pools (an indoor and an outdoor one). You can also go together with your family and stress on your kids for not being analytical enough in one of the four escape rooms this casino offers. And if all of this doesn’t satisfy your needs, the famous Steel Pier at the Atlantic City boardwalk is just a minute walk away. We understand the issues that come with being both a gambling man and a family man. But with so many casinos around the world, if you pick wisely, you can combine the two. Nowadays, casinos are more than just a gambling floor — they are complexes and resorts which offer extra activities and amenities so you can bring your family along. Yes, it’ll cost you more than it would if you went alone, but hey, you wanted kids, didn’t you? There are other casinos with pools and beach resorts. However, we’ve picked out these five, as we believe they’ve made the perfect balance between your gambling and spending time with your family. Have a nice trip!